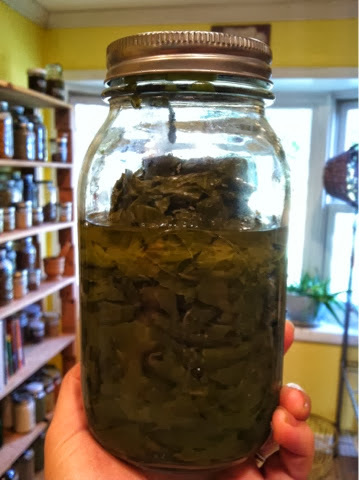 Have you ever considered canning your excess greens? It is a fairly simple process, but it does take a little time. 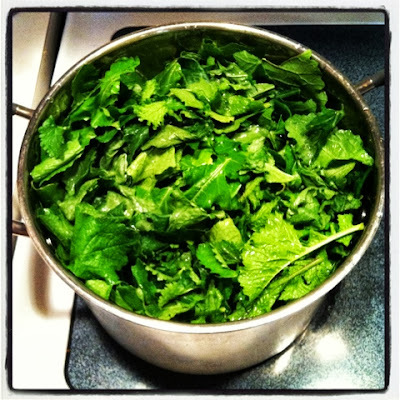 What I have is turnip greens. I'm from the south. You eat your greens around here. If you have your greens, a bowl of beans, cornbread, and some fried potatoes, you have got a meal fit for a king! Here's how you can them. You can use this process for pretty much any green. Collards, turnips, spinach, kale, etc. 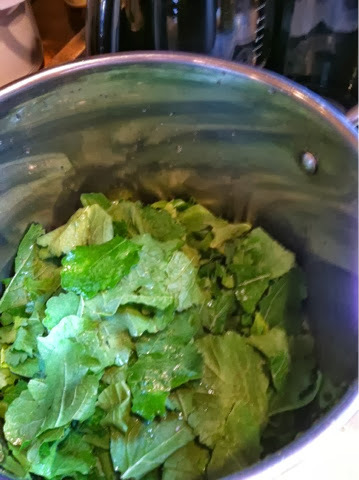 Dump your greens into the sink and wash them. You may have to wash them a lot to get the grit, sand and such off of them. Once you have them fairly clean, start pulling off pieces of the leaf and putting them in a stockpot. The stems can be saved for the livestock or the compost. Once you get a nice full pot, run some water over them and put them on your stove. You want to wilt them down. 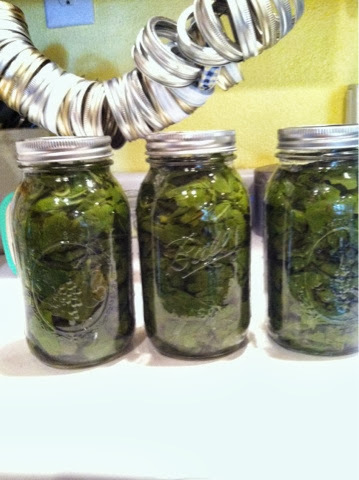 You might be surprised at just how much it takes to fill a few quart jars! Cook the greens til wilted and then fill your clean quart jars. 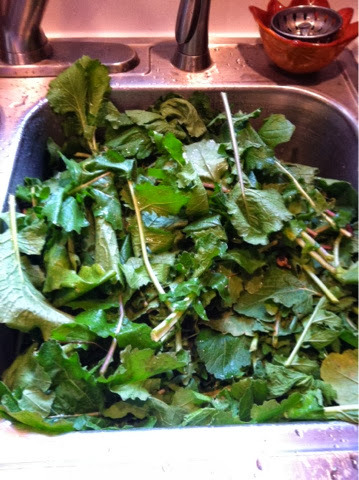 Like I said, that WHOLE sink full of turnip greens equaled 3 quarts for my pantry. After you fill your jar with the greens, add a teaspoon of salt to each jar and finish the jar off with hot water. Attach lid and band and put in your pressure canner. Process in a pressure canner for 90 minutes @ 15 lbs pressure(for here, check your canner manual) for quarts. 60 minutes for pints. This is great encouragement... love the end quote about food in the basement! Thanks Chasity! When I see jars there are a few people I think of.........you are one of them!